Living in Makeup: Sarah Chapman Skinesis Overnight Facial: Worth the Hype? Sarah Chapman Skinesis Overnight Facial: Worth the Hype? The Sarah Chapman Skinesis Overnight Facial (£46) is such a hyped about skincare item that I've wanted to try ever since its release. It's meant to be a face oil, a serum and moisturiser all in one so it negates the need for those other products on the nights you use it. To me, that sounds like absolute heaven because let's be honest, anything that reduces the amount of time spent on my face in the evening is going to be worth trying. The texture is unlike other facial oils I've tried in that it's thicker, but not heavier. It doesn't leave the skin feeling greasy or like there's an extra layer of product. It sinks in quickly leaving my skin very hydrated for the night. I've noticed a massive difference in not only the texture of my skin, but also the tone. Everything is brighter and more even. My skin has that healthy glow that I'm after. Overnight Facial is a blend of lots of different vitamins, oils and antioxidants and my skin definitely reflects that. I love that on days when I'm not feeling well, but want to do my skincare routine properly, I can just pop this on after cleansing and be done. One pump is more than enough to cover my face evenly and I do like to spend a few minutes really massaging it in if I can. I've never actually had a facial, but if they leave the skin looking and feeling like this, sign me up. I'm not a fan of the scent, it's a bit too herbal for me, but that doesn't really get in the way of me using the product. It also gets a big thumbs up from my mum. 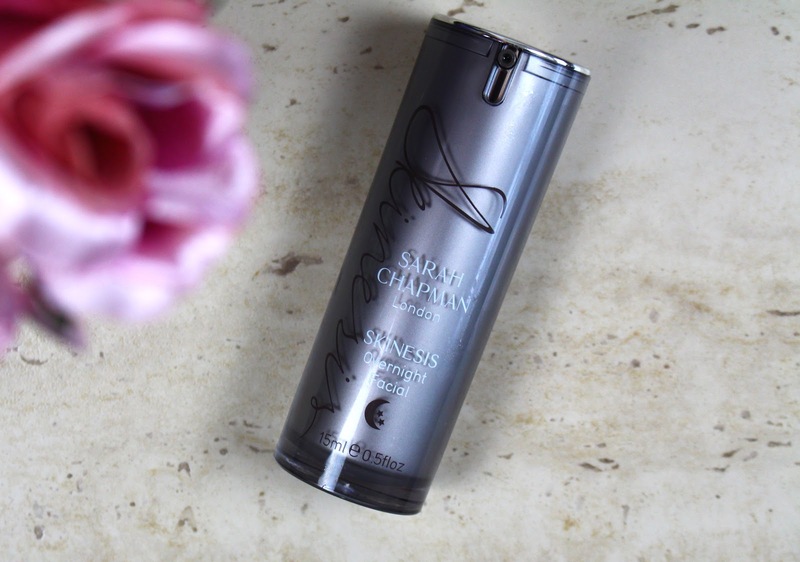 I would definitely say that the Sarah Chapman Skinesis Overnight Facial is worth the hype. I'd recommend it for all skin types and ages. I now really want to try her serums and eye cream. Who am I kidding, I just want the entire range! What do you think of Skinesis Overnight Facial? © Avani Gadhoke 2019. Powered by Blogger.